Goodtry brings to you his hoodie which is made from cotton and is black in colour. It has a zip closure and features a stylish design. It is design for women keeping in mind the latest trends in fashion. 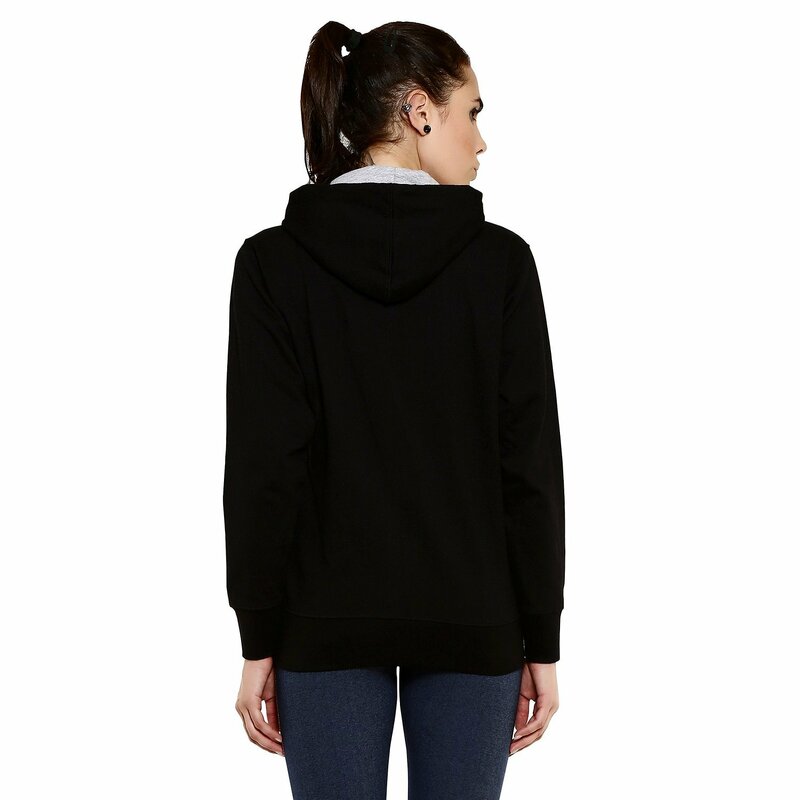 The hoodie features a full sleeve design and comes with two front pockets for your convenience. You can pair this hoodie with a pair of denims and top it up with a pair of sneakers for a complete casual look. You can also pair it with vibrant tops and capris for an outing.